Governments' (monstrous and criminal) behavior should not be secret. People should know what their government is doing, and what a powerful foreign government is doing to their own countries. The actual results of the work of WikiLeaks have been hugely beneficial. The choice to prosecute these particular acts is driven by the military industrial complex, but also by Russiagate. 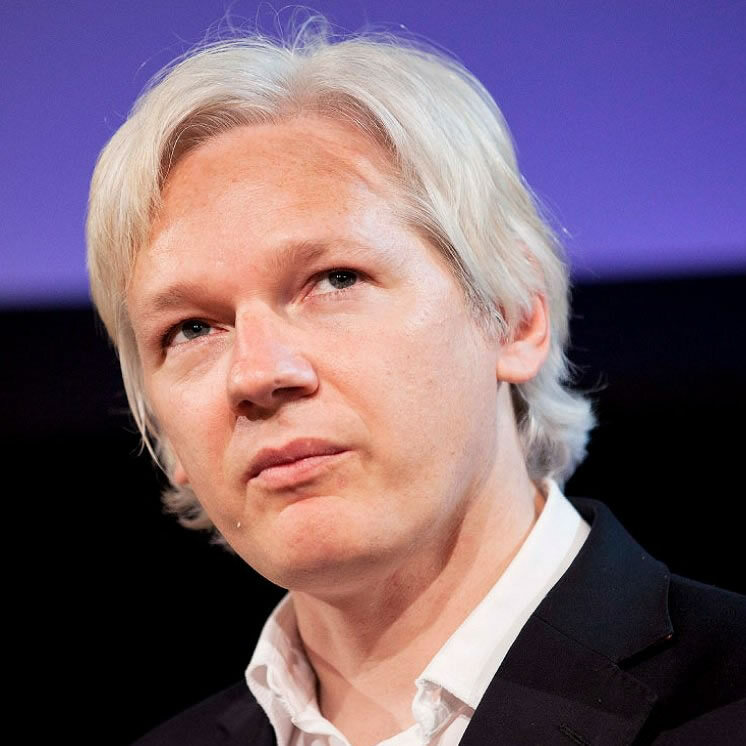 The U.S. media and top politicians have long sought to depict Julian Assange as something other than a journalist on the fictional grounds that he is in the employ of or collaborating with an enemy government. If Assange had exposed the peccadilloes of the peace movement, or if he had not figured in the Russiagate myth, he would be free. They'd let him be. Breathing air like you and me. Nobody on either side of the debate right now has knowledge of or is focused on the details of the allegation that Assange did something unjournalistic by attempting unsuccessfully to hack into a computer in order to protect a source. This trial by media is no more about that than the Monica Lewinsky scandal was about lying under oath. And the trial by jury is likely to resemble the trial by media, if previous trials, such as Jeffrey Sterling's, in the Virginia court of choice for patriotic railroaders are any guide. The details of that unjournalistic allegation are likely very weak, because the indictment throws in various other allegations that are purely journalistic: encouraging a source, protecting a source. To an ignorant, all-white, militarized-community jury impressed by important national figures saying the word "conspiracy" a lot, these other allegations will loom large. If the United States charges Assange with violating horribly anti-democratic U.S. secrecy laws, and denounces him on TV as a "traitor," despite Assange not being a U.S. citizen, other countries may begin to find the nerve to charge U.S. journalists with violating their secrecy laws. The next Washington Post reporter hacked to death by Saudi Arabia may get a trial first. If Assange is brought to the United States and not convicted, or is convicted and serves out a sentence, one can expect the U.S. government, legally or otherwise, to further prosecute or simply imprison him indefinitely. In the propaganda that surrounds this drama it is not a legal proceeding, but a war. If Trump gets away with the numerous crimes and outrages he has thus far gotten away with, he or his successor will have little difficulty devising a way to further "protect" us from Assange. "The Obama DOJ despite launching notoriously aggressive attacks on press freedoms recognized this critical principle when it came to WikiLeaks. It spent years exploring whether it could criminally charge Assange and WikiLeaks for publishing classified information. It ultimately decided it would not do so, and could not do so, consistent with the press freedom guarantee of the First Amendment. After all, the Obama DOJ concluded, such a prosecution would pose a severe threat to press freedom because there would be no way to prosecute Assange for publishing classified documents without also prosecuting the New York Times, the Washington Post, the Guardian and others for doing exactly the same thing." " Catlin Johnstone, rouge journalist. But, what if the motivation was to first get Assange back here to set him free through clemency?". Nah.